Another vector work from me. I can't get enough of Mikan-chan. She's adorable in every aspect. I adored this picture and I just had to vector it. It's rare to find pics with her hair down. She's gorgeous. I enjoyed tracing her hair and coloring it. I'm really getting the hang of making the eyes. Took me like almost forever to get everything right since the pic was so small and low in quality. 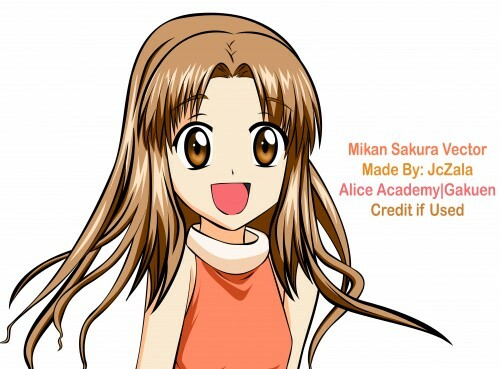 Cute~ Indeed it's rare to see Mikan-chan's hair down. From where is this picture? 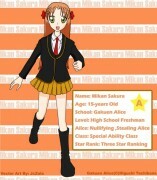 Mikan-chan is so pretty! Her hair is awesome. Love the clean lines and coloring. Good job.